The Johari Window was developed by American psychologists Joseph Luft and Harry Ingham in the 1950’s, when they were researching group dynamics. The name was devised from a combination of their first names. In Coaching I use this tool to identify the areas a client needs to explore to enhance his self awareness. The Johari Window represents a gamut of information ranging from feelings, experiences, views, attitudes, skills, intentions and motivation amongst other emotions – within or about a person – in relation to their group from four different views. In my Coaching Model, during the stage of assessing the current reality I partner with my client to explore each of the four areas drawing on information from all available sources. 1. What is known by the person himself and is also known by others : This one is the easiest to access. Just the right questions and a good rapport are the ingredients needed to get the client talking freely. 2. What is unknown by the person about himself but which others know : In exploring this area we (client and me) use the results of carefully constructed feedback processes such as 360 degree feedback and psychometric instruments that involve other stakeholders such as subordinates, superiors, peers and clients. 3. What is known by the person about himself but which others do not know : This requires the development of utmost faith of the client in the coach and onus pretty much lies on the coach to provide that safe space where the client wants to share his personal/innermost feelings. This calls for utmost respect for the client, high integrity to uphold the clause of confidentiality, deep listening skills to hear what is ‘not’ being said, powerful questions to unravel what is not being said on the coach’s part. 4. What is unknown by the person about himself and which even others do not know: This undiscovered self may include traits/information which may be both good and not so good and may forever remain undiscovered or may come to light someday. This information also has an unknown potential to influence the rest of the Johari Window. It can be used as a tool in coaching as I do to enhance the current reality, or as a self development tool to consider one’s behavior and reaction patterns, as an OD and management tool to understand team dynamics. Carrying its benefits and limitations this feedback tool is again effective only and when the individual moving through the process proceeds further to make and carry out developmental plans. I am currently taking a new course: Train the Trainer at International Coach Academy, Australia. 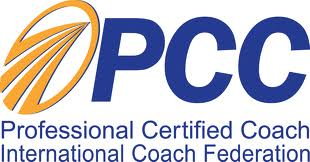 This is an endeavor to develop my skills to use the tool of teleclasses most effectively in my Coaching business. The brilliant facilitators Karen Cappello and Sheri Boone will be leading the classes. We were joined by the global director at ICA, Kurt Stewart. We kicked off the class talking about the adult learning principles (Andragogy: nature of teaching of adults) and the ICA learning model. 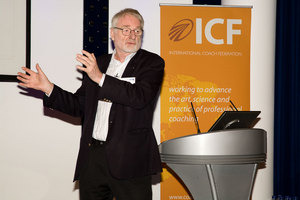 Kurt shared the story of how the seeds of International Coach Academy were sown by the founding director: Robyn Logan and how later she and Bronwyn Bowery teamed up sharing the vision of creating the No.1 coach training school. The ICA training model is solidly based on these principles of how adults learn. Q. What outcome would I like to receive from this Train the Trainer class? A. The first and foremost the reason I enrolled for the program was to expand my horizons and learn new concepts and skills. The outcome I wish to receive from this particular course is to develop a sense of confidence in leading teleclasses so that I could explore this as one of the career options as ICA and other coaching institutes are reaching Indian shores. So what I am looking for is a well engineered approach to designing a class as well as guidelines to help me deliver a class with ease. Q. How do I create a safe space? Q. What do I do to be present before I begin class? A. A breeze through my notes, a check in on the apparatus which would be used during the class, a glass of water and deep breathing allow me to centre down and focus on the class. Q. How and what would I do in my first training session to insure that I provide the opportunity for learners to take that first step in participating? A. In my first training session, I will take some time to get to know the participants and their intention in coming to the class. Here tools such as going around the room with an activity which requires giving one word answers can be effective in breaking the ice. An open invitation to share their wins during the past week or fortnight and make sure that they acknowledge them. Give them space to speak. Taking into account different learning styles I might even ask the participants to write some stuff (a sentence or two) and then share it after giving them a minute. This would give enough time and space to people who take some time to reflect and assimilate their thoughts. The overall intent is to use activities to create an atmosphere that breaks down barriers between people and reduces the feeling of threat or self conscious.